Home > Books > Many Inventions. 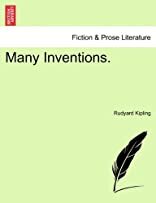 The Seven Seas, by Rudyard Kipling, Author of Many Inventions, Barrack-room Ballads, The Jungle Book, etc. ix. 365 p. ; 8�.